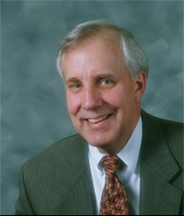 James J. Wochner is the founder and principal owner of The Wochner Law Firm in Northbrook, Illinois. He graduated from St. Louis University, St. Louis, Missouri, earning a degree in Economics. While in college, he participated in intercollegiate varsity basketball and baseball. Mr. Wochner received his Juris Doctor degree from St. Louis University after attending night law school. By day he taught mathematics and history and coached athletics in a high school in St. Louis, Missouri. He is presently a member of the Illinois State Bar Association and its section on Trusts and Estates. He is admitted to practice before all the courts in the State of Illinois and the U.S. Federal Court. He has been in private practice since 1973 concentrating in personal estate and business planning. James Wochner is well known as an estate and asset protection planner. He is recognized for his ability to reduce complex legal principles into understandable concepts. After graduation from law school, Mr. Wochner served as a trust counsel for the Trust Department of the First National Bank of Chicago where he gained invaluable experience in the drafting and implementation of estate planning documents. Since that time he and his staff (all of whom have over 30 hours of Hospice volunteer training) have drafted and implemented thousands of estate planning documents for their clients, including trusts, wills, family partnerships, charitable trusts and other complementary documents. He is a member of the National Academy of Elder Law Attorneys, Inc. (NAELA) and a founding member and past president of the American Association of Trust, Estate and Elder Law Attorneys (AATEELA), a national professional organization organized to enhance and further the quality of trust, estate and elder law legal services. He is also presently on the Board of Directors of AATEELA. He has served on the boards of several charitable and community service organizations and is presently serving as Chairman of the Board of Directors of Medical, Eye and Dental international Care Organization (M.E.D.I.C.O.) based in Georgetown, Texas (www.medico.org). Mr. Wochner is a trained Hospice Volunteer.